Exhibition, Bäst Före, Mai 2003. 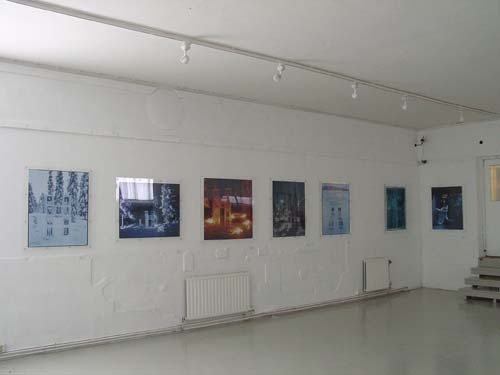 Solo Exhibition, Gallery Kakelhallen, Mariehamn, Åland, Finland. Short Test Stop-Motion video animation, low resolution at the moment. 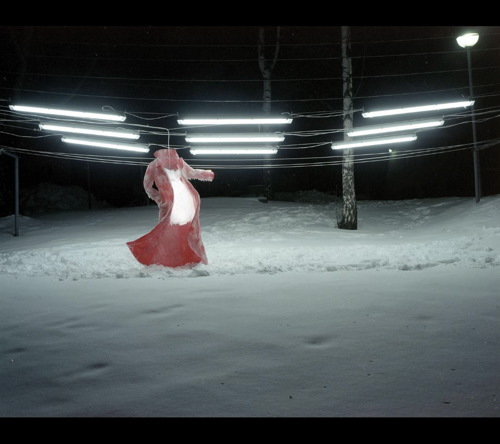 Made from images by images (photo), from installation with frozen clothes and lighting. 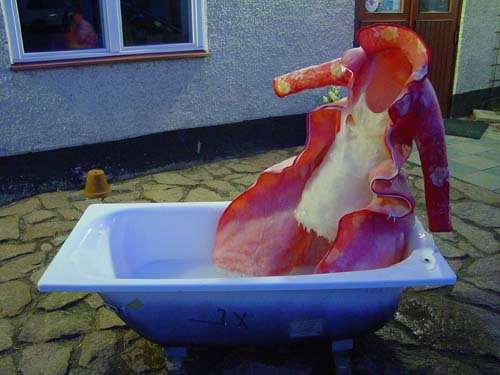 Site specific installation, and photographs works. Click the link above, or on the image.